What Are The Rules to 5 Card Draw Poker? - Casino Answers! 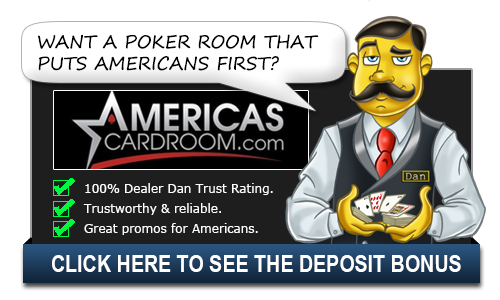 Casino Answers » Poker » Draw Poker » What Are The Rules to 5 Card Draw Poker? What Are The Rules to 5 Card Draw Poker? If you played any poker in your younger years, chances are you once played 5 Card Draw Poker. It is the game that Wild Bill died playing and a game that many people were first introduced to as young players. Each table can sit up to a maximum of five players. There is a dealer button, and a big blind and a small blind. The big blind has to post a big bet, and the small blind a small bet. There are generally no antes. However, there are home games when people do this instead of doing blinds. Each player is dealt five cards face down. The betting starts from the player to the right of the big blind and moves clockwise around the table. Each player has the option to call, raise or fold. Once this betting round is complete, each player that is still in the hand has the chance to discard 1-5 of their cards, or to stand pat and discard zero. Generally, you should not discard four cards unless you are holding an ace. After the players have discarded and drew new cards, there is one more betting round, and then the cards are turned over, and the best hand wins. If two hands were to tie, they would first go to the secondary cards. For instance, if both players have two Jacks you would go to the the other three hands in the deck. Whatever is collectively highest, that would be the winner. So a hand with JJ-2-3-A would beat a hand with JJ-8-9-10 as the ace would pla over the ten. In the extremely rare case that all five are the same, the players would then split the pot. Online Availability: Five Card Draw is only available at a few sites. Sites that boast this classic game are Paradise Poker and Fortune Poker. How many players can play 5 Card Draw Poker at once? A 5 Card Draw table can sit up to five players at a time. Why? Simple math. There are 52 cards in the deck. Each player is dealt five, that’s twenty five cards. If everyone at the table folded all five and got five new cards, that’s 50 cards. One more player would leave less cards than players. While it would be really weird to see all five players fold all five cards, that option needs to exist for the game to properly function.